This tour is the Cliffs Notes view of Maui. We saw a lot, but it was long. No way to avoid without turning back. Gorgeous scenery along the way. Our tour guide Bjorn made the trip with his knowledge and great sense of humor. We really enjoyed this tour. The guide/driver was excellent and kept people interested during the entire trip. As others have mentioned, part of the tour is on some very rough roads, but it was very interesting to see the large variation in climate with a relatively small area. I would definitely recommend this tour. Fortunately, the weather was excellent. 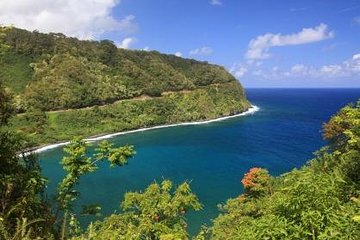 The Road to Hana was highly recommended, and I looked forward to experiencing it as a shore excursion. My husband and I were the second last couple to board the van. We were not late. Only the last row across the back seating 5 was available, and I wound up sitting on the right side next to the window and over the wheel cover with my knees up. The remaining seats were quickly filled. The trip is a long one, and part of it includes six or seven miles per the driver of unpaved road filled with deep potholes. The bouncing and jouncing throwing me against the window frame was almost intolerable. The ocean was on the left, and the window was blocked by people's bodies so I could only see the side of the road. . The driver was personable and drove well. The stops were very lovely. We discovered that some passengers claimed to have saved money by booking directly with Roberts. Viator's charge of 169 per person seemed outrageous for such a transport. I think the back row in a van should remain empty when a trip is this long and the terrain is rough. My best advice would be to get in line very early and to sit on the left side of the vehicle. Otherwise you will see only the greenery on the banks of the road. We are so glad that we decided to let somebody else do the driving on the Hana Highway! Our tour guide, David, was fantastic! We felt very safe in his hands! His knowledge of the Maui coastline was incredible! We enjoyed the many stops along the way. I highly recommend this to anyone visiting Maui for the first time! If you have the chance to request Bijorn I highly recommend him. The knowledge and expertise made the whole excursion memorable. There was more than ample time at the spots for photo ops. 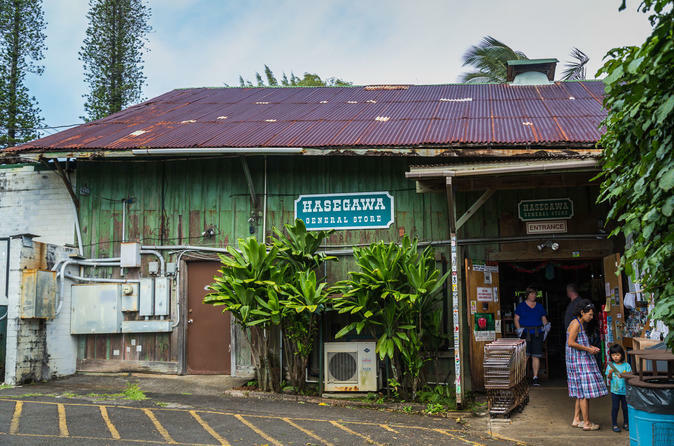 Bijorn certainly made the road to Hana out of this world. It was a long day, but our Driver/Tour Guide is what made it special and interesting. You could feel the love he has for being a Hawaiian and being a Tour Guide showing off his home. I can't believe I spent all day with him and forgot his name. It was an experience that you should do at least once. Will I did it again? No. For me it was not one of those excursions that I have to do it again. I can see me back in Maui but I would do a different tour to see something different. Also, for those who do not want to sit on a bus, drive 30 minutes, get off see some sights and drive some more, this is not for you. The key is having a fun and engaging Driver/Tour Guide, it will make or break your trip. We really enjoyed this excursion. Somehow our tour guide managed to drive our mini bus along the narrow roads with many curves while giving us an excellent commentary of the sights. We have never seen so many beautiful waterfalls and scenic overlooks. This as an amazing tour and our guide Tai was fantastic. He was very knowledgable and took us to more non-tourist stops. I learned so much about the island, it's history, and the plants and fauna. I would highly recommend this tour. It was much better than trying to drive it ourselves. Great tour, knowledgeable tour guide. We saw things we would not have seen if we did this tour on our own. The many waterfalls, rainforest and beach scenery was beautiful. A tour you must do! Very pleased with this tour.